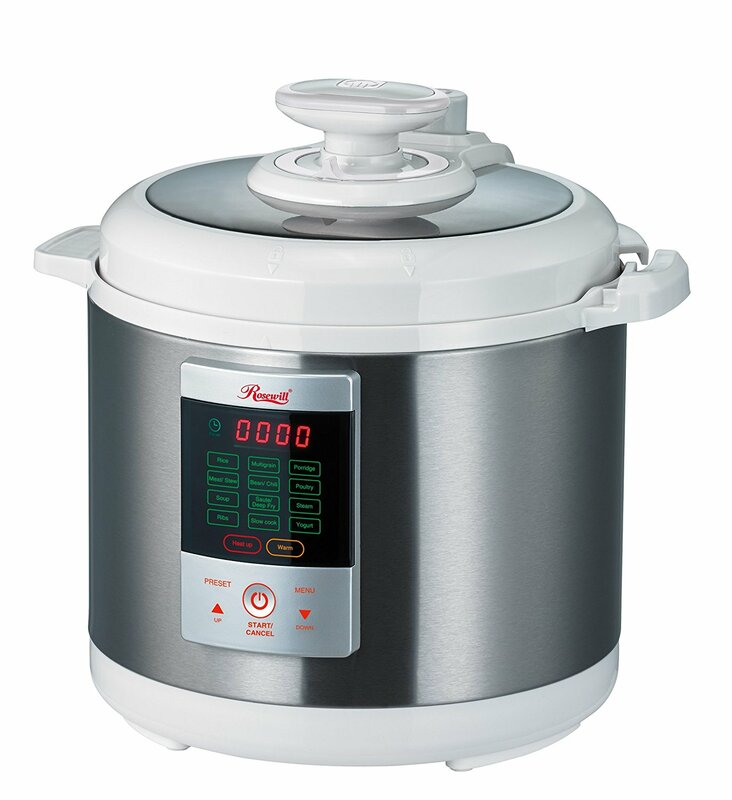 If you are looking to expand your kitchen arsenal with a tool that will allow you to prepare rice in just a few minutes, raw beans in under an hour, tender steamed vegetables and fall-off-the-bone braised meat, you should consider investing in a pressure cooker. In this article, we weigh the pros and cons of the most popular models on the market. The pressure cooker was invented in 17th century France by physicist Denis Papin. He called his invention the “steam digester” and presented it to the Royal Society of London in 1681. The first patent was issued for a pressure cooker in 1918 to Jose Alix Martinez of Zaragoza, Spain. Martinez also wrote the first pressure cooker recipe book. In 1938, the first pressure cooker designed for home use was introduced by Alfred Vischer in New York City. The principle behind a pressure cooker is simple. A sealed lid ensures that steam doesn’t escape from a heated pot. The trapped steam increases the pressure inside the pot, which raises the boiling point of any water inside, forces liquid into the food and makes it cook faster. 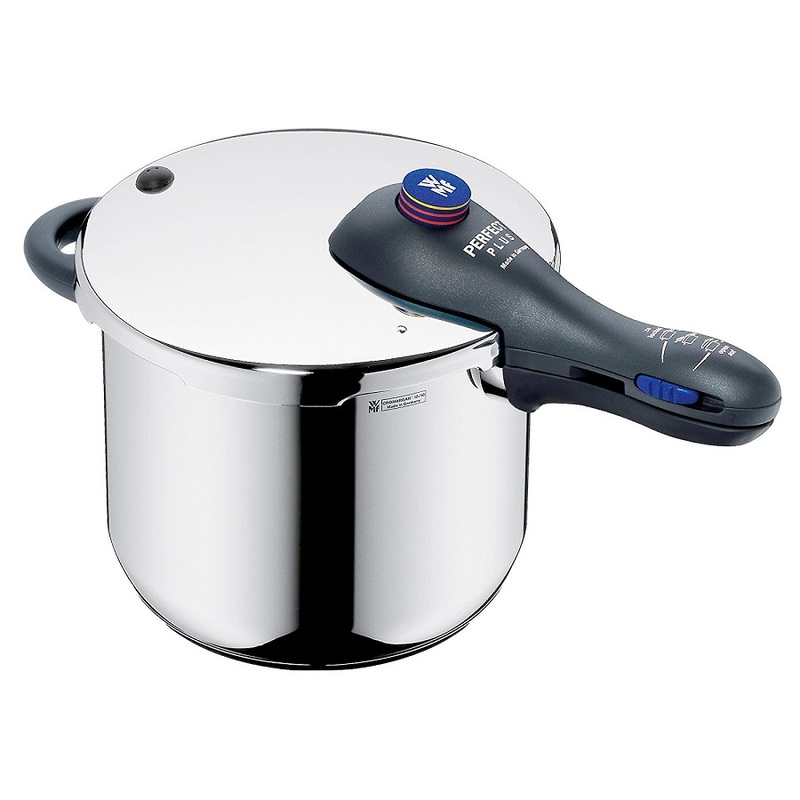 In this article, we’ve reviewed two different kinds of pressure cookers: stovetop and electric. Stovetop pressure cookers are cheaper, don’t require electricity and can also be used as a standard cooking pot. 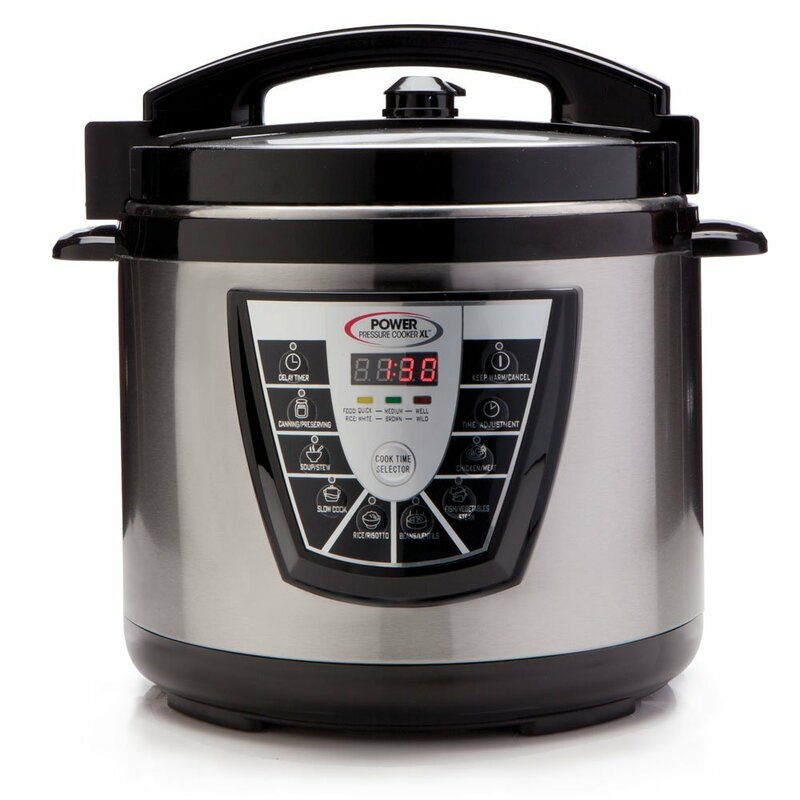 However, electric pressure cookers have a variety of timers, sensors and programs that take the guesswork out of preparing food with a pressure cooker. They also cook food more evenly because heat comes from the sides of the pot, not just the bottom. For each product listed below, we’ve included the pros and cons and a brief description gathered from thousands of consumer reviews on a number of retailer websites. We are not connected to any of the brands and our own recommendations, summarized in the “Final Thoughts” section at the end of the article, are based exclusively on these reviews. Do you prefer a stovetop or electric pressure cooker? Which brands are your favourite? Tell us more about your experience with this unique and efficient kitchen tool in the comments section below. Though it is one of the pricier models on the market, the Breville Fast Slow Pro is well-rated because of its special dual-functionality. It can be used as a pressure cooker, but also as a slow cooker. Cooking times are not always accurate, particularly with the slow cooker function, so it does take some time to acclimate to this product. However, its interface is easy to use and it is easy to clean. Many reviewers felt that the price was justified because the Fast Slow Pro combines two different kitchen appliances into one. 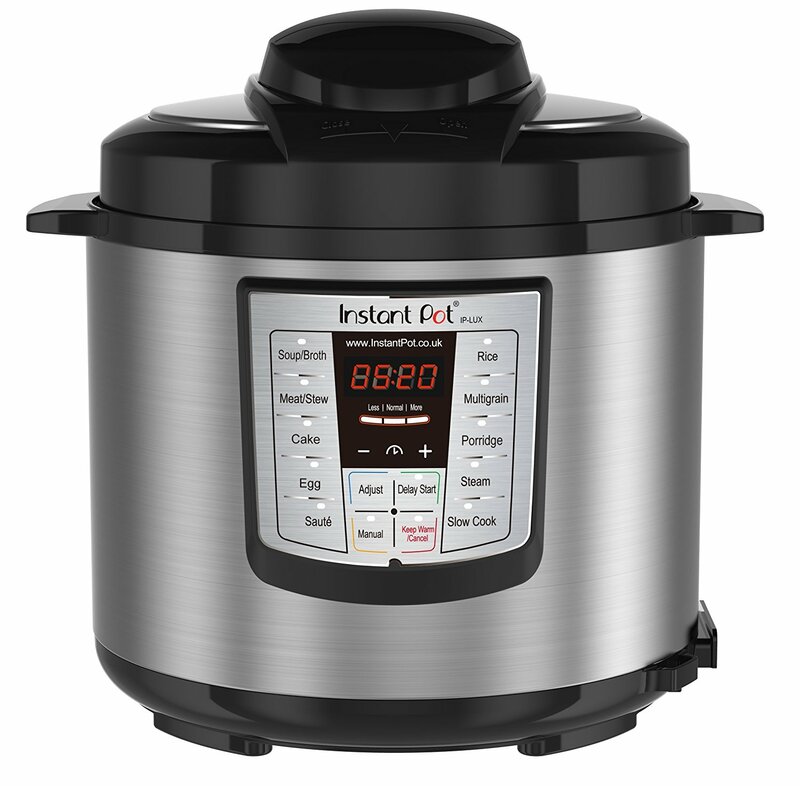 Instant Pot is one of the most popular brands available, with tens of thousands of reviews that can be read online. The feedback is overwhelmingly positive. It has rice cooker, steamer, food warmer, pressure cooker, yogurt maker and sauté functions and it comes in two different sizes. Though it can be difficult to use at first, the versatility of this appliance makes it worth taking the time to learn how it works. We read quite a few reports of defective products, so we recommend purchasing your Instant Pot from a retailer that offers an extended warranty or generous return policy. 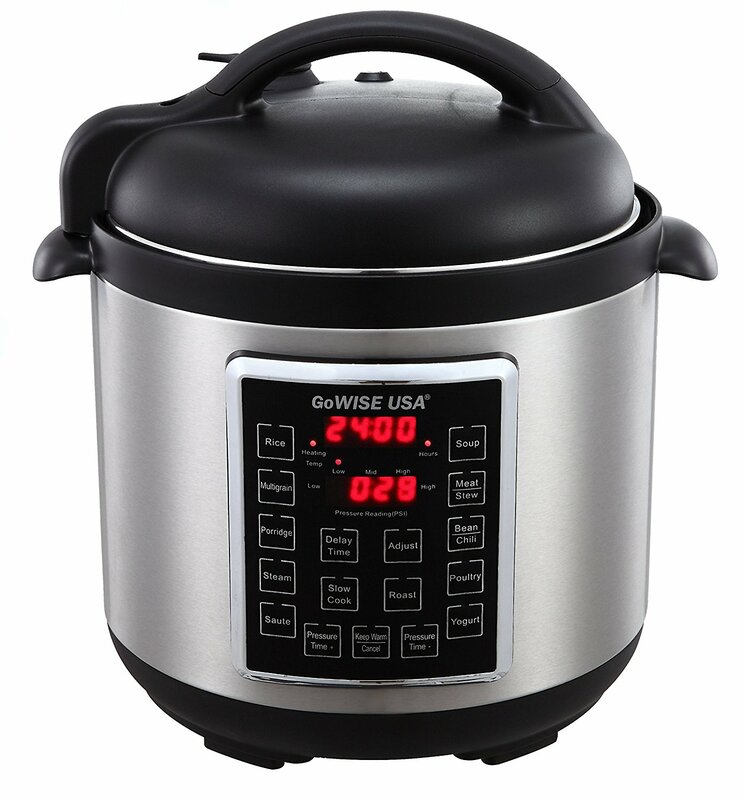 This product shares many similarities with the Instant Pot 7 in 1 Multi-Use Programmable Pressure Cooker. The only functionality that it lacks is the ability to make yogurt or other fermented dishes. Like most electric pressure cookers, a big positive aspect is the relative safety. This model doesn't require “babysitting,” which means that it’s possible to leave food cooking inside the pressure cooker without closely monitoring it. One complaint was that it is quite large and takes up a fair amount of counter space. However, it does replace several other common kitchen tools and can be used for a wide variety of cooking techniques. Despite the many positive reviews about the speed and convenience of this appliance, there were a number of disappointed consumers as well. Most complained about a defective relief valve and how it was difficult to get a replacement part or product from the manufacturer. Those who had a working model said that it was a satisfactory pressure cooker, but that the accompanying recipe book could benefit from some additional instructions, for example, including the cooking time. Though this product functions quite well and is fairly priced, many found the instructions for use to be overly complicated and confusing. Fortunately, the appliance is not difficult to use and most of the reviewers were able to figure out how it works on their own and purchase cookbooks from other brands. It is not recommended for first-time pressure cooker owners or those who are not willing to do some experimentation with the various functionalities of the Rosewill. 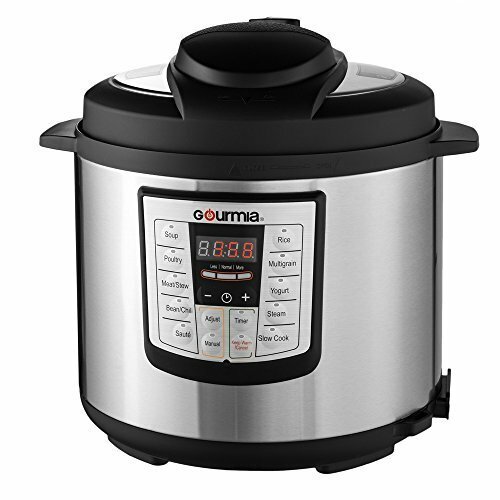 The eight functionalities of this pressure cooker include: pressure cooker, bbq/grill, steamer, sauté/browner, classic slow cooker, rice/hot cereal cooker, yogurt maker and warmer. More than one reviewer stated that the pressure cooker “works when it wants to” and produces very inconsistent results. Sometimes it functions well, producing a well-cooked meal in a fraction of the time required for traditional food preparation methods. Other times, it will spew its contents across the kitchen. Additionally, some reviewers had issues with the appliance dying after only a few uses. 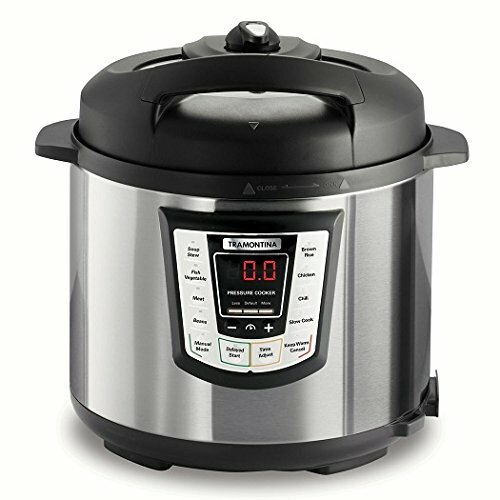 Though the Black & Decker 6 Quart Programmable Pressure Cooker is easy to use and an effective way to prepare a delicious meal in a short amount of time, several reviewers noted that the various non-pressure functionalities of this pressure cooker do not work as well as the appliances that are designed for those specific functionalities. It is also quite large and takes up a fair amount of storage space, which means that it’s not practical if you need to store a slow cooker, rice cooker and a pressure cooker. If you have a very limited amount of space and only enough room for one large appliance, you could consider investing in the Black & Decker 6 Quart Programmable Pressure Cooker. 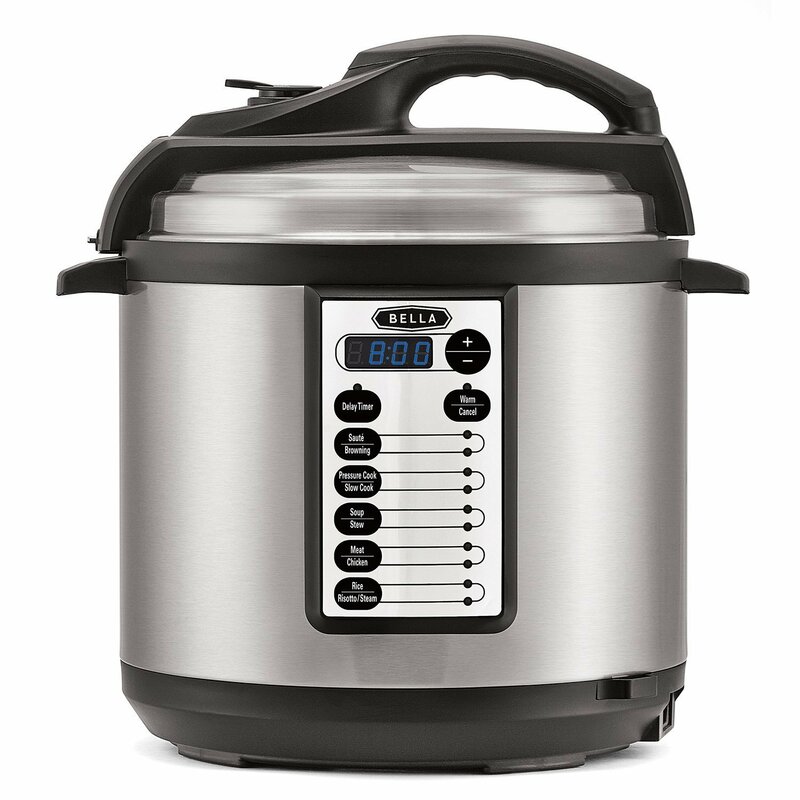 The automatic functionalities of this pressure cooker include: rice, oatmeal, reheat, soup, baking, steam, sauté, brown, pressure cook, DIY and keep warm. This model also offers 25 built-in automatic programs. Some reviewers more familiar with the history of the brand were disappointed to learn that the company moved its manufacturing centers, originally in France, to lower quality facilities in China. But in general this product functions well and is easy to use. Though the overall quality of this product is not as high as some of the other brands, it is approximately half the price and is, therefore, a good choice for many reviewers on a budget. 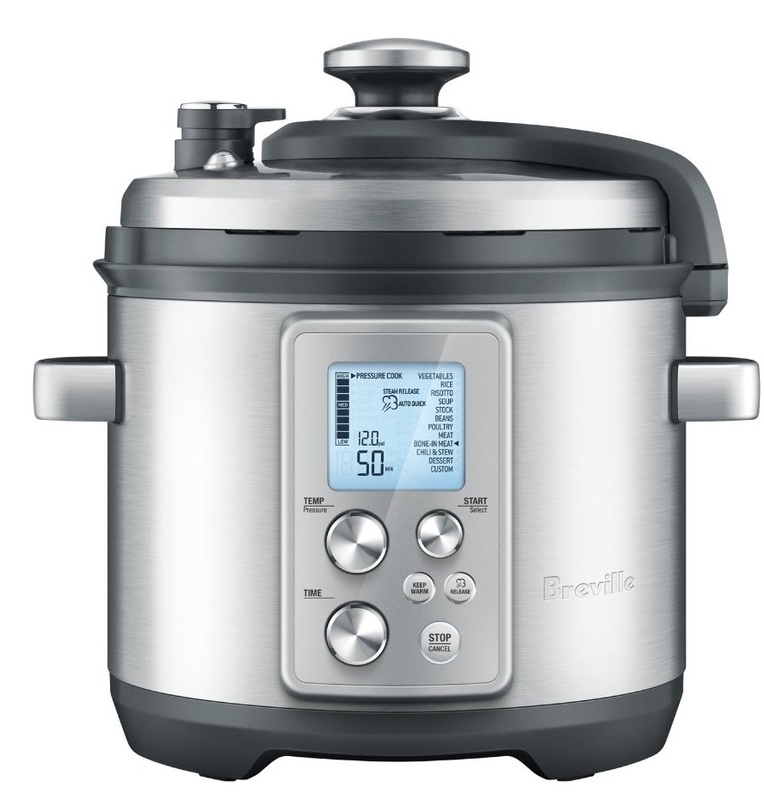 It has 10 pre-set programs: sauté, brown, pressure cook, slow cook, soup, stew, meat, chicken, cook rice and risotto. The instructions are clear and the appliance is easy to use and to clean. Some complained that it was too large on the kitchen counter and a few reviewers had issues with rust and corrosion. Though there were some reviewers who were pleased with the performance of the Tramontina Electric Pressure Cooker, particularly its ease of use and silence, others said that the appliance is unreliable and that it does not work all the time with the same consistency of pressure. 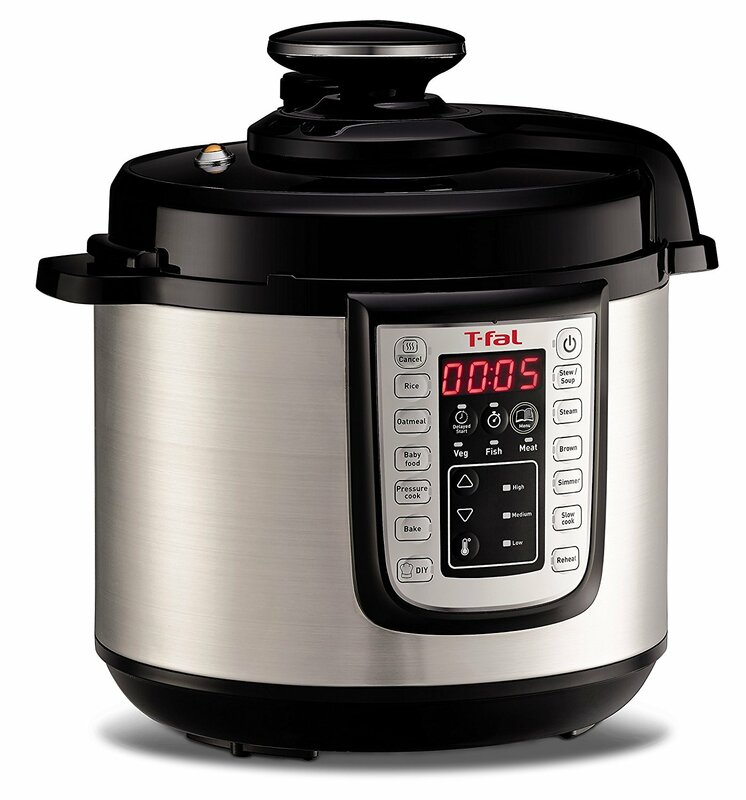 Another major drawback is that this is one of the pressure cookers that does not have a sauté function, which is a crucial step in most pressure cooker recipes. This is another popular brand with many reviews. It is fairly easy to use and some reviewers mentioned that it worked faster than previous models that they had owned, but the button labels can be confusing and / or misleading. Also, there were numerous problems with the non-stick coating and the removable pot. Some reported rust, peeling, a foul odour and a pot that could not be removed for cleaning. If this would be an issue for you, it may be best to consider one of the many stainless steel options available. 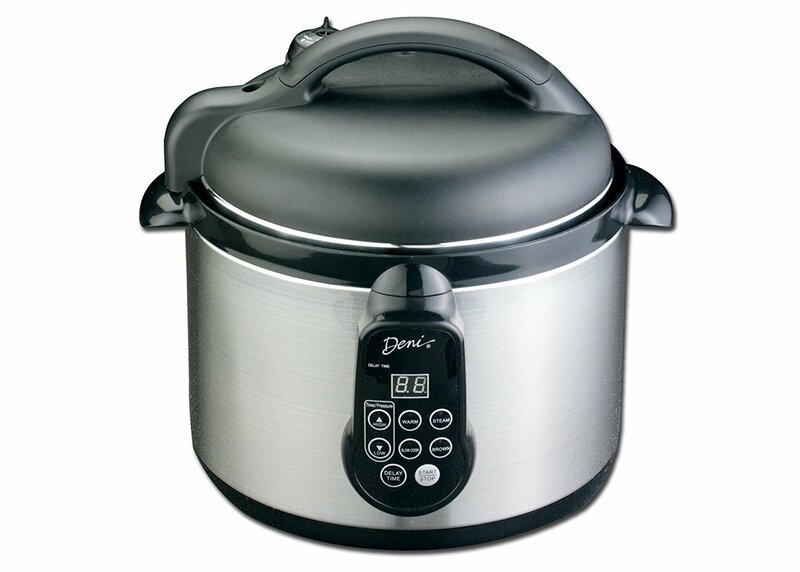 Unlike many other models, the Deni Electric Pressure Cooker does not have any parts that can be removed and washed in the dishwasher, making clean-up less convenient. 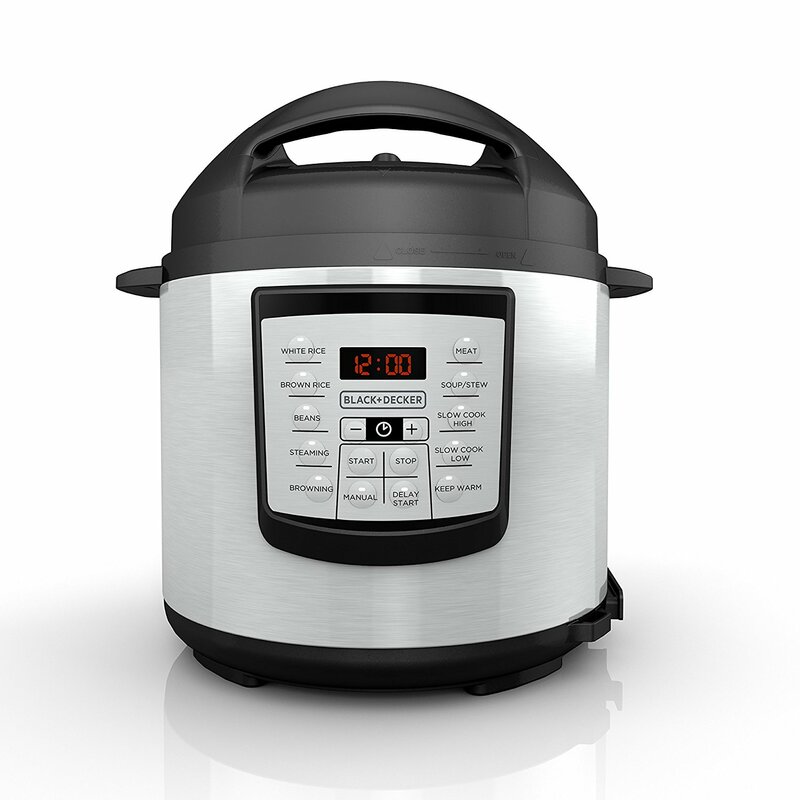 This pressure cooker also does not seamlessly transition from the pressure cooking function to the keep warm function (a common feature for many of the other products in this category), which means that it’s necessary to remove all pressure and then re-set the cooker with the warming function after the pressure is released. This is not the best product for someone who is looking for an appliance that doesn’t require babysitting. 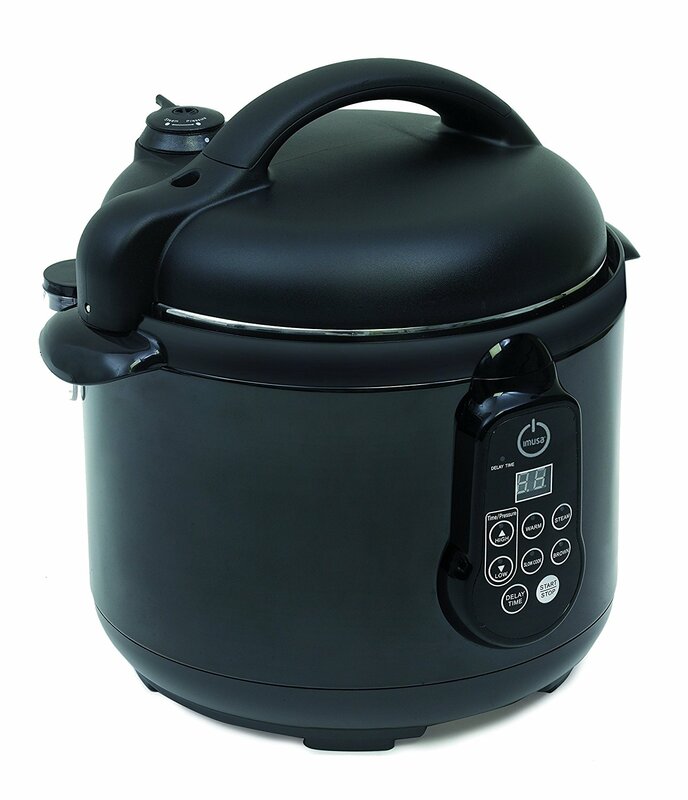 This product functions as a slow cooker, rice cooker and pressure cooker. It features a programmable delay timer for up to eight hours, but one reviewer pointed out that a timer set for 20 minutes will actually take longer than 20 minutes because it takes a few minutes for the cooking program to activate. This is something to take into consideration if timing is particularly important to you. That being said, it is easy to use and to clean. The price is reasonable, but for some reviewers who had defects within in the first one or two years of use, they felt that the price was too high to justify the quality. Most reviewers were pleased by the level of service provided by the manufacturer when they reported an issue. Unlike many other brands, Secura offers replacement parts, so that the entire appliance doesn’t need to be thrown out and replaced. 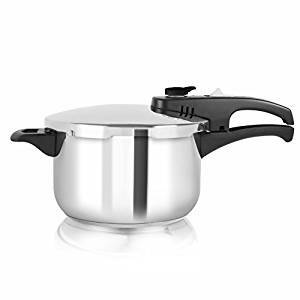 Also, the pot is stainless steel, which makes it easier to clean and eliminates any issues that come with having a pressure cooker with a non-stick coating. CONS: A few complaints the unit stopped working after a few weeks/months. 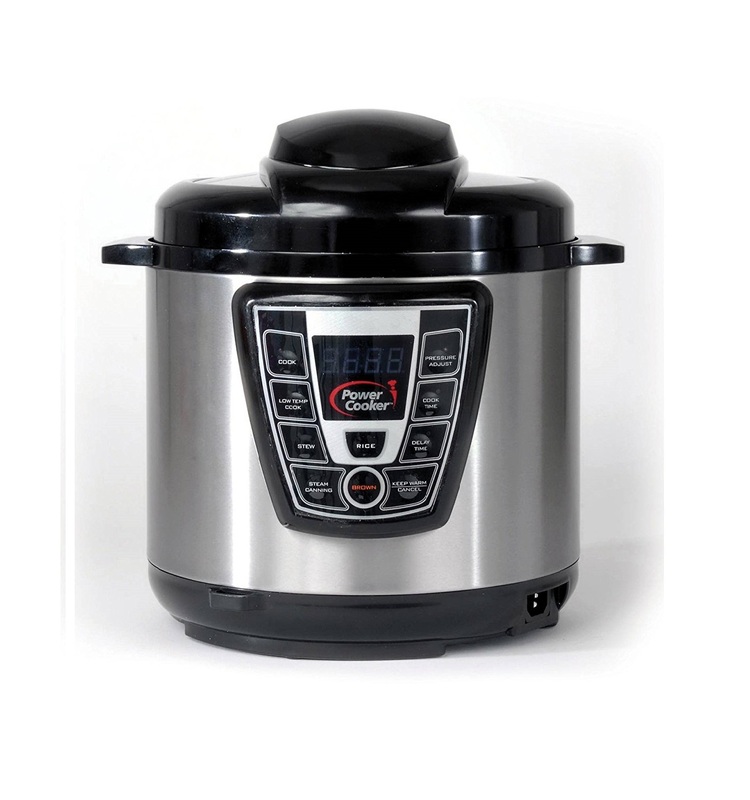 Elite Platinum offers three different models of its 11-in-1 Electric Pressure Cooker. 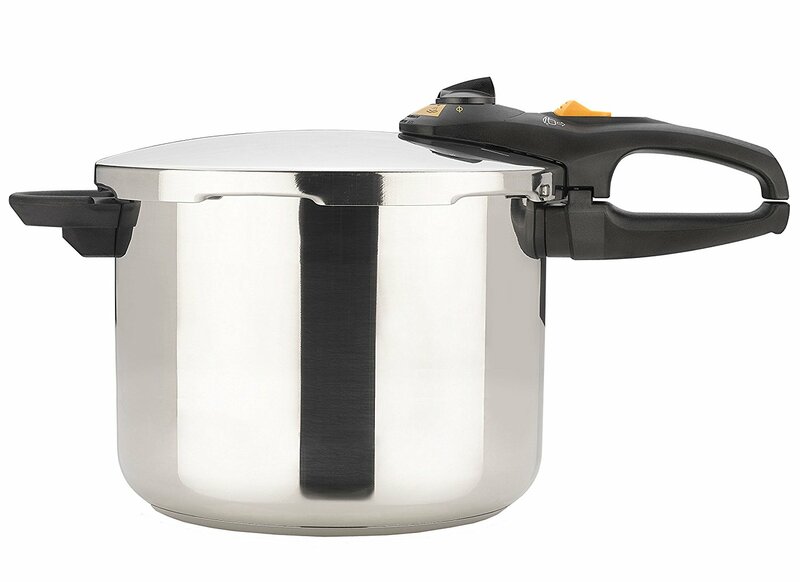 One features a stainless steel pot. The other two feature a non-stick pot. One is black and the other is red. The 11 pre-set menu buttons include: vegetables/fish, soup/stew, steam, potatoes, beef/meat, slow cook, white rice, chicken, keep warm, brown/sauté, beans/chili. This product is generally well-reviewed because of its nice weight and high quality construction, as well as the ease of use thanks to clear and easily understandable instructions. This model includes a lot of extras: a steam rack, a steam basket, a rice scooper and a measuring cup. 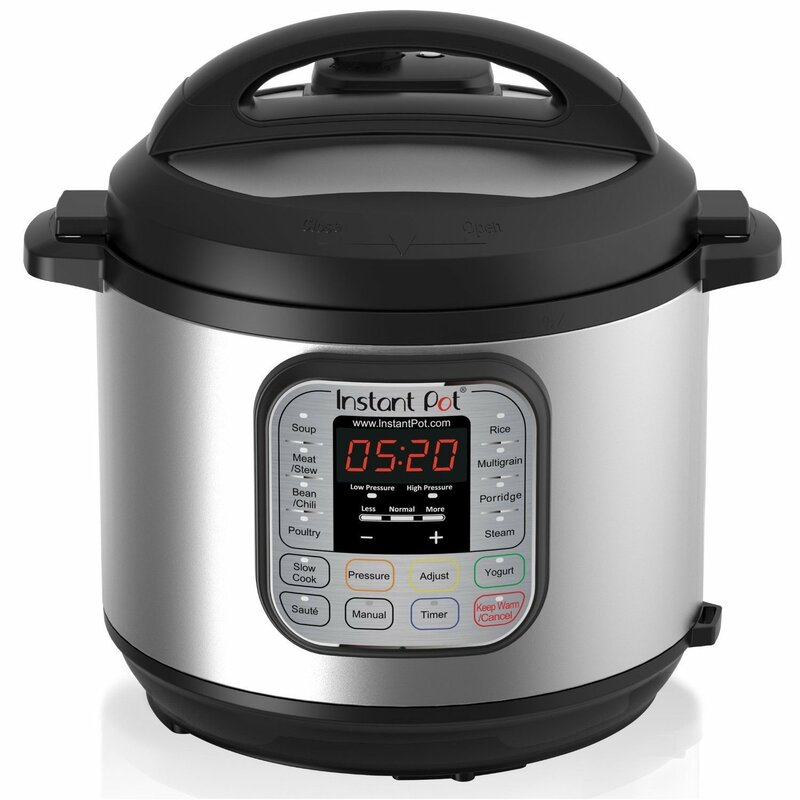 One reviewer noted that it cooks faster and more evenly than the more popular Instant Pot. 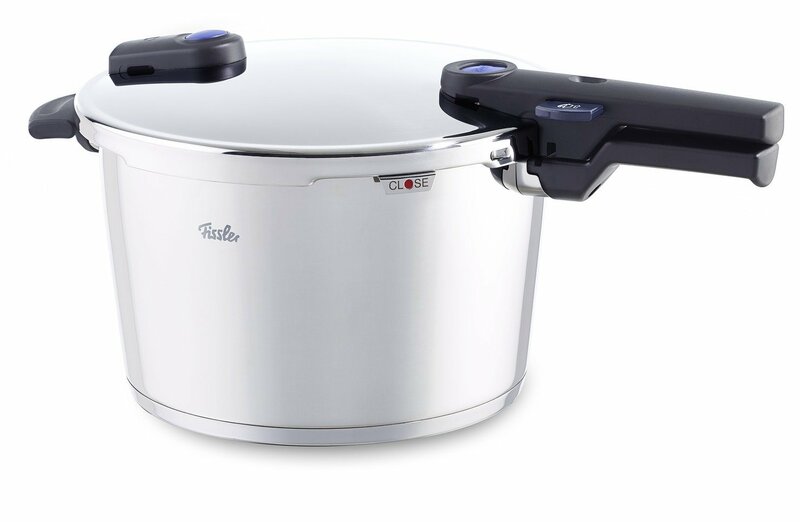 However, the same reviewer also said that the GoWISE USA 4th Generation Electric Pressure Cooker is not as durable as the Instant Pot and died after only a few months of regular use. 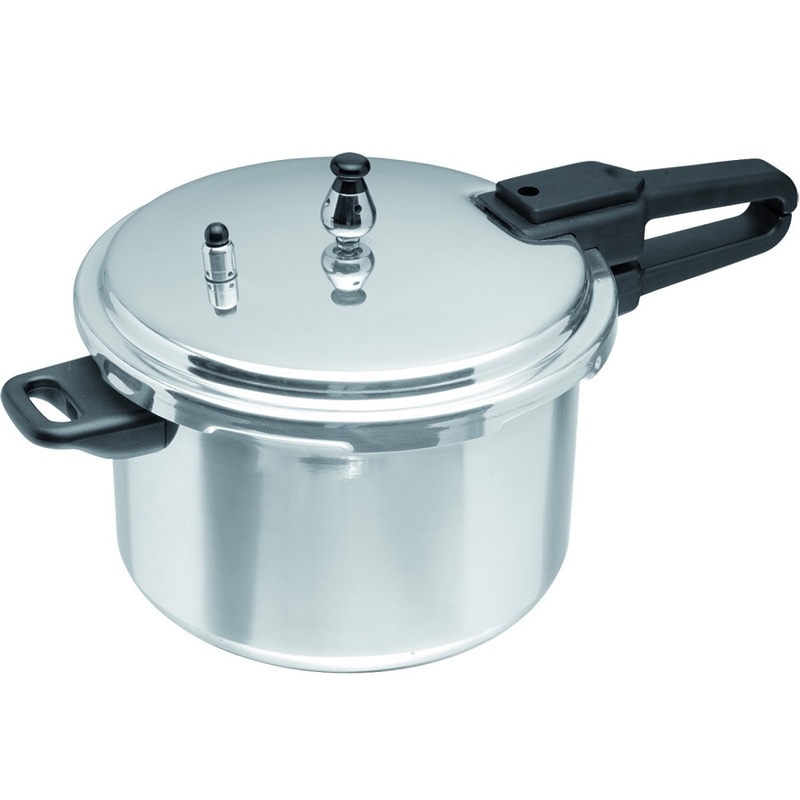 The stainless steel pot scratches easily and several reviewers reported leaky seals. 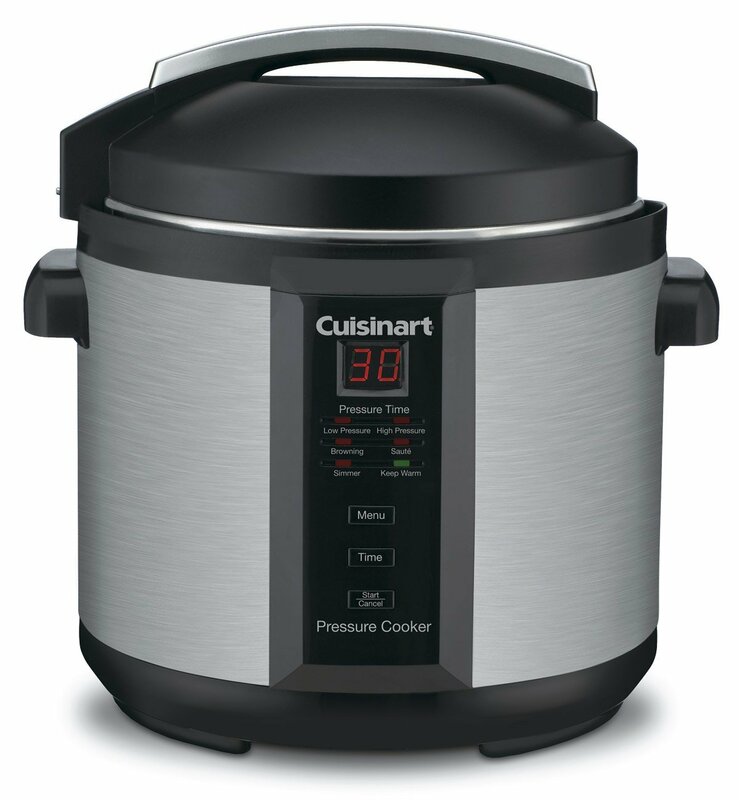 Many of the products included in this category cannot be used for canning, so that is one aspect that sets the Power Cooker Pro apart from the competition. However, it does not include a very informative recipe book, like some other models, so it is necessary to purchase an additional recipe book or to look for recipes online. It also does not appear to be a very durable product, as several reviewers noted that their appliances had issues or stopped working a few months after they were purchased. A major issue with the Power Pressure Cooker is that the non-stick Teflon coating comes off very easily when the appliance is being cleaned. This is potentially dangerous, as there are many known health issues related to ingesting even very small flakes of Teflon. Unfortunately, the customer service is also quite poor, meaning that it can be difficult to get a refund or replacement if your Power Pressure Cooker is defective. This Swiss-made product comes in a variety of different sizes and styles, including a small sauté pot and a frying pan. It has a very contemporary design, with a conical lid that one reviewer noted as being very similar to the shape of a tagine. Stovetop pressure cookers can often be heavy and loud, but this model is relatively lightweight and quiet. A separator must be purchased separately. It is possible that the handle becomes loose during shipment from the manufacturer’s headquarters in Switzerland. However, according to reviews, Kuhn Rikon provides a satisfactory level of customer service. 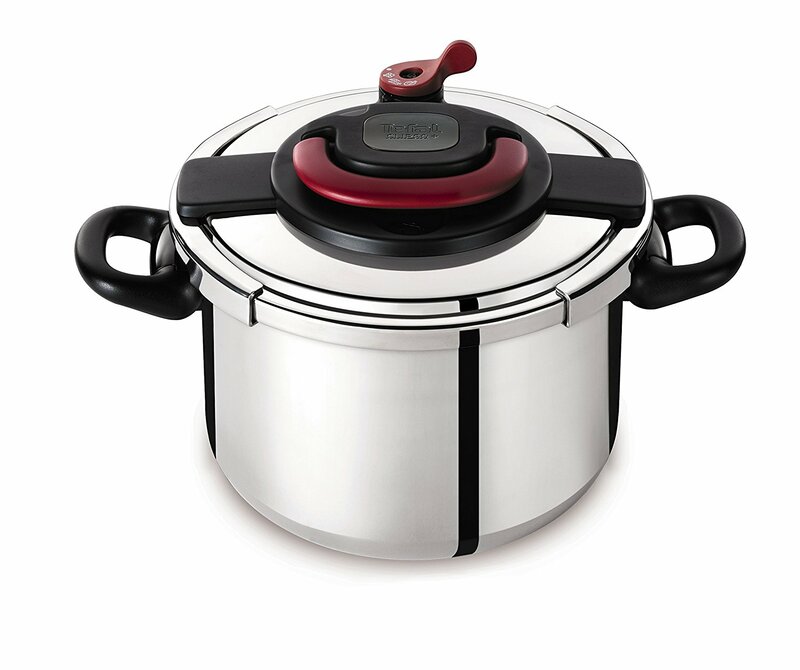 Presto’s line of pressure cookers includes a variety of sizes and shapes, including 4, 6 and 8-quart cookers in aluminum and stainless steel. There is even an oversized 16-quart cooker that can also be used for canning. The big disadvantages of this brand are that the handles tend to be quite short and the pots, and especially their hardware, rust easily if they are not kept dry. It is recommended to replace the screws with higher quality stainless steel screws to connect the handle to the pot if they begin to rust. The Fagor Duo has two pressure level settings: low (8psi) and high (15psi). 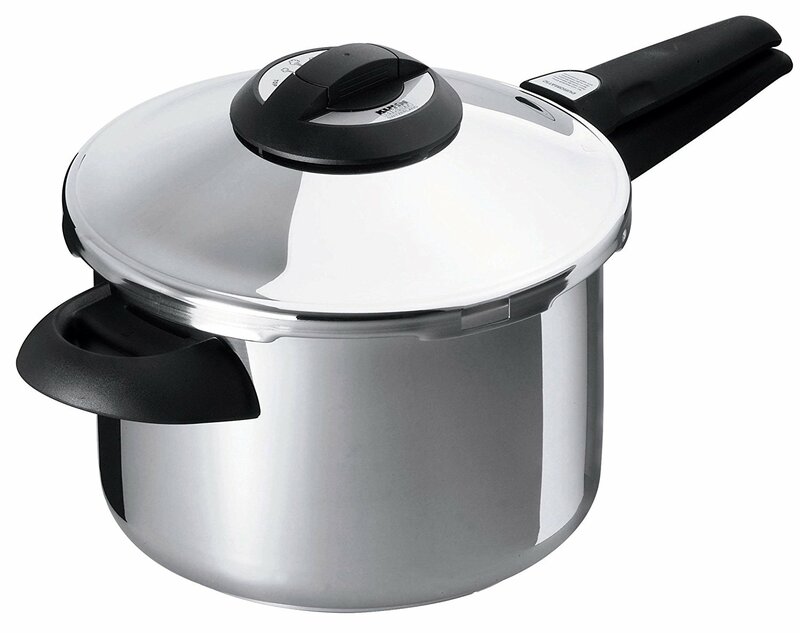 It can be purchased as a single pressure cooker or in a set of five or nine different sizes. The reviews for this product are quite mixed. The main concern was about the durability and safety of the pressure cooker. Several people told stories of the plastic knob or pressure indicator breaking after the third or fourth use and a few very unlucky individuals actually had the pot explode and spew hot contents all over their kitchens. Unlike the Fagor Duo, the Fagor Splendid has only one pressure level setting – 15psi, which means that cooking times have to be adjusted to account for the fixed pressure level. Unfortunately, the Splendid line is also susceptible to the same damage and threat to personal safety. Even those reviewers who did not have issues with such severe damage were disappointed by the inconsistency of this pressure cooker. Times constantly have to be adjusted and re-adjusted, which seriously detracts from the overall ease of use. The Fagor Futuro does not have the same serious safety issues as the Duo and Splendid models. Aside from a few problems with the locking mechanism, the Futuro model appears to be much more solid. It is also quite easy to use. A valve can be manually adjusted to release some or all of the pressure built up inside the pot. It also, according to several reviewers, has a more aesthetically pleasing design – a sort of bell curve, instead of the standard vertical-walled design of the Duo and Splendid. 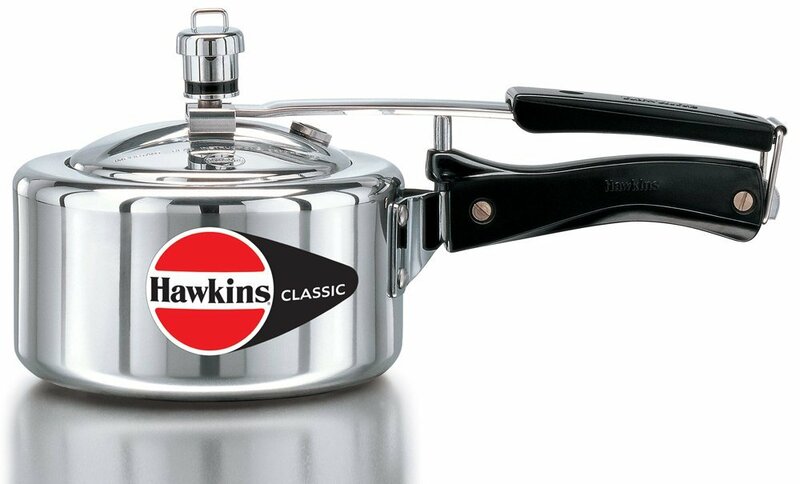 Hawkins produces a number of sizes and shapes in its range of pressure cookers. Its design with an elliptical lid is routinely praised for its aesthetic and practicality. Some reviewers were frustrated that the large brand label cannot be easily removed from the exterior of the pot. There were a few that reported discolouration after a few uses and some stated that the handle and lid could be difficult for elderly users to manage. The sizing of these pots run somewhat smaller than other brands. This pressure cooker, which is made in Germany is reviewed as one of the safest and fastest pressure cookers available on the market. It has few defects, which is fortunate. It also does not have a loud whistle like some other products in this category. It is easy to use and the pressure gauge is easy to read. Another brand that is made in Germany, the Fissler Vitaquick Pressure Cooker comes in five different sizes: 2.5, 4.5, 6, 8 and 10 quart. This is one of the more expensive products on the market, but many reviewers noted that you “get what you paid for” with this heavyweight, elegantly designed stainless steel pressure cooker. One small drawback is that Fissler does not produce a very useful recipe book to use along with their pots. The reviews for the IMUSA Aluminum Stovetop Pressure Cooker were not very positive. Several people who purchased this product were dismayed to find that important pieces like the pressure valve or gasket were missing from the box, indicating some serious quality control issues. Additionally, the pot’s seal is not very secure. At best, this means that food will not cook as quickly because the pressure is not able to adequately build up. At worst, the loose seal results in injury when steam escapes from the pot. 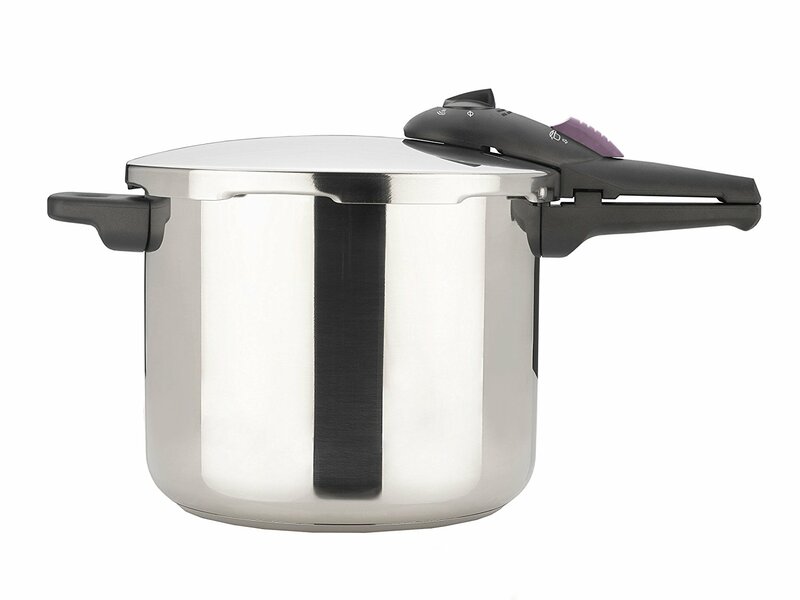 Anodized aluminum is unique because it is an excellent conductor of heat, which means that dishes cooked inside this pressure cooker can be kept warm for a longer period of time. It is also non-stick and very easy to clean. The design is smart and cannot be opened when the pressure inside the pot is too high. The only issues are with a flimsy valve and that a few reviewers had problems with the plastic handle cracking. Prestige offers a lifetime warranty on its products. 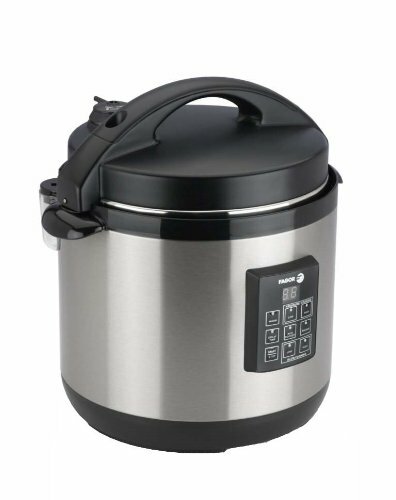 This product has many positive reviews online and appears to be a well-made pressure cooker with a solid stainless steel construction. One reviewer was purchasing a new Tefal Pressure Cooker to replace the old one that she’d had for over 19 years, which really says something about the durability of the brand. It does not have the same “bells and whistles” as many of the more expensive products in this category, but at half the price, it is a very good value. 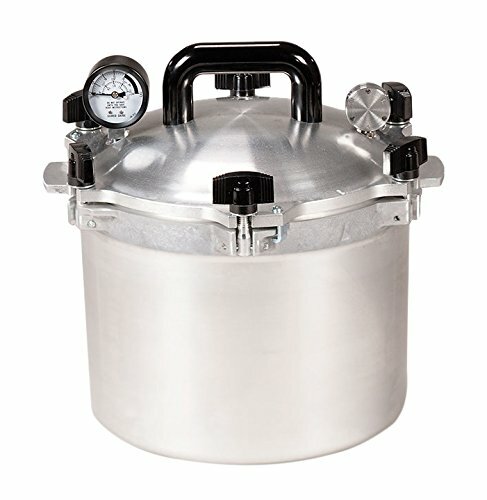 Of the many reviewers who posted their feedback online for the All American Pressure Cooker and Canner, more than 90% gave this product a maximum score. 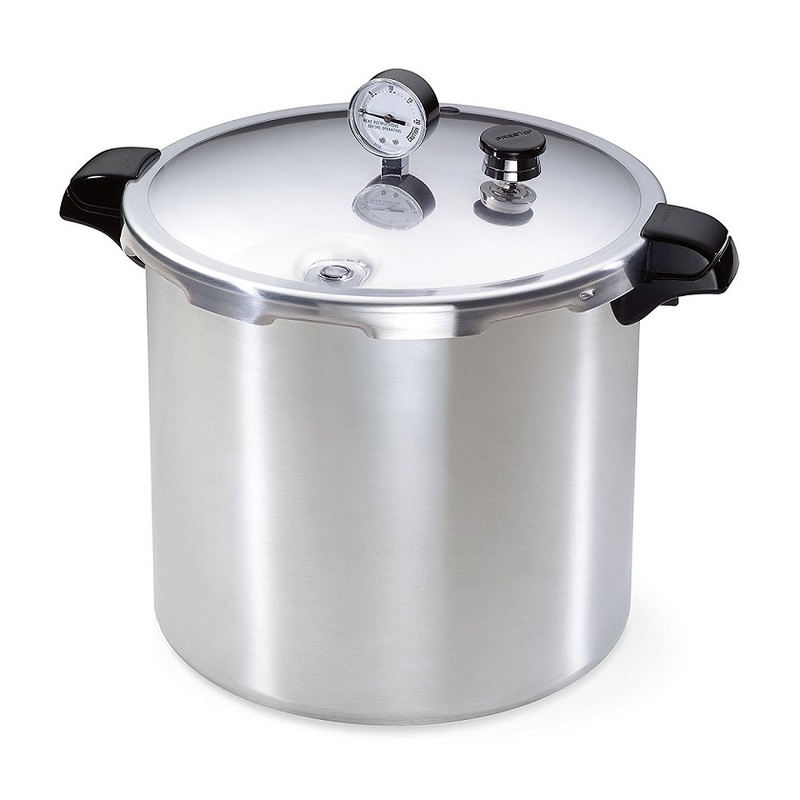 It is very heavy and best suited to canning, rather than standard pressure cooking. 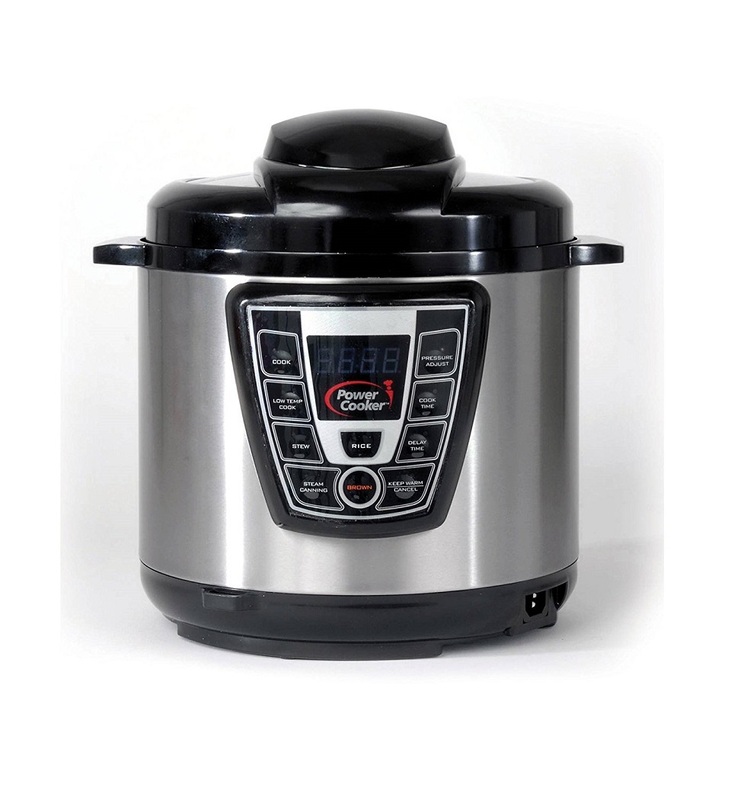 If you are looking for a simple pressure cooker, it would be best to consider other models, but if you’re looking for one high quality product that can handle both tasks with ease, the All American Pressure Cooker and Canner might be a good option for you. 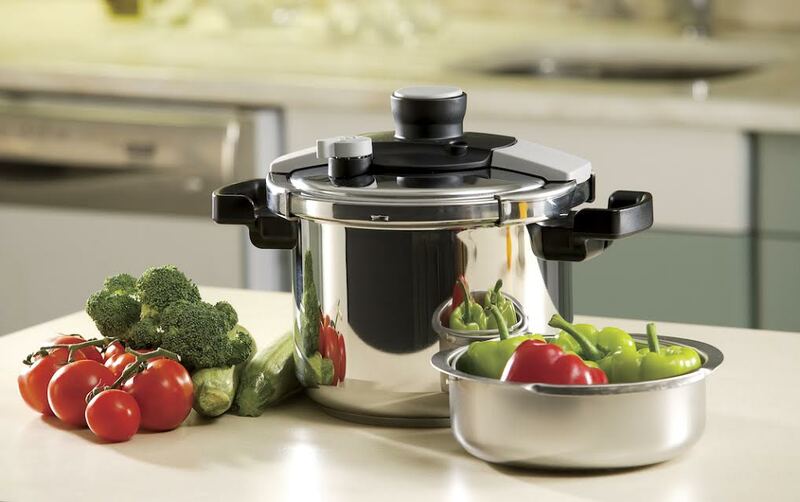 The Tower Pressure Cooker is made from solid stainless steel. Some reviewers complained that the pot is heavy, but this can also be interpreted as a sign of quality. This product is certainly more durable than the many aluminum models available on the market. It is also very fast and energy efficient. Unlike many other brands, Tower actually sells parts separately and for a reasonable price, so it's not necessary to replace the entire cooker if you have an issue with only one specific piece, for example, the plastic release valve on top of the pot. When it comes to pressure cookers, there are many different options, depending on your needs and interests. If you like to have a kitchen tool that performs a variety of functions and does most of the work without any babysitting, consider an electric pressure cooker. The most popular brands, with an impressive amount of good reviews, are the Breville Fast Slow Pro and the Instant Pot. These models are expensive, but they perform well, have a variety of automatic programs and are quite durable. 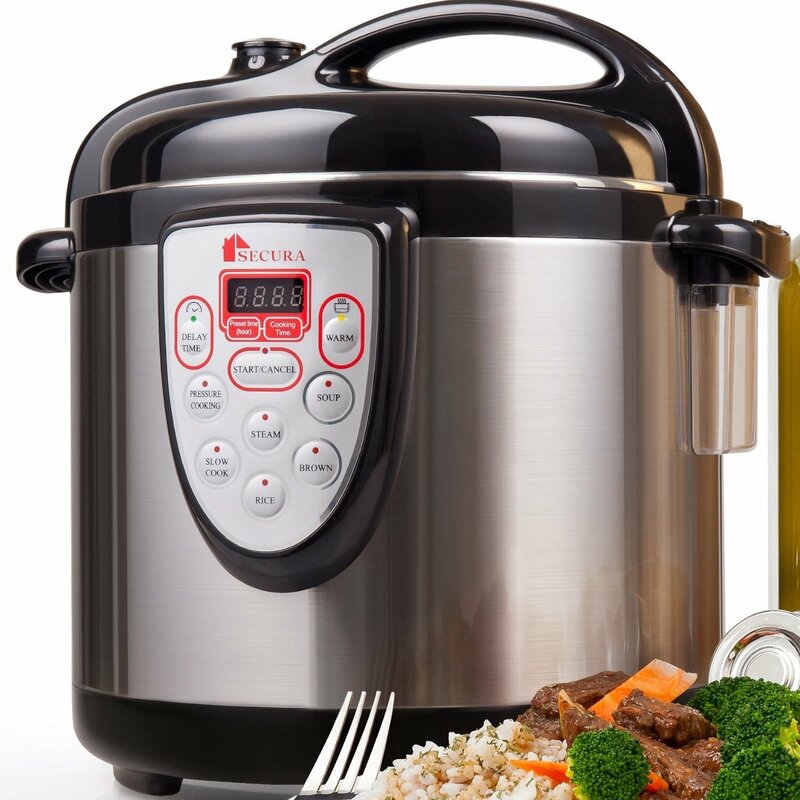 For a cheaper option that doesn’t require much sacrifice with regards to quality, the Bella Electric Pressure Cooker is recommended. 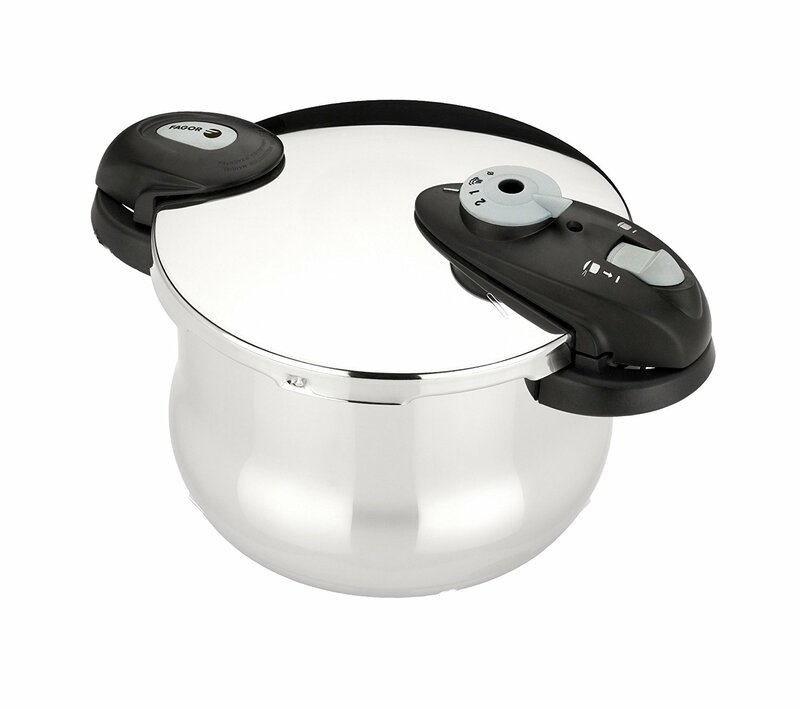 If you prefer the more old-fashioned stovetop variety of pressure cooker, which is generally cheaper and less complicated than electric pressure cookers, the Swiss-made Kuhn Rikon Duromatic Top Model Energy Efficient Pressure Cooker and the German-made WMF Perfect Plus and Fissler Vitaquick Pressure Cooker offer top-of-the line quality, albeit with a hefty price tag. These three models are made with heavy-duty stainless steel. 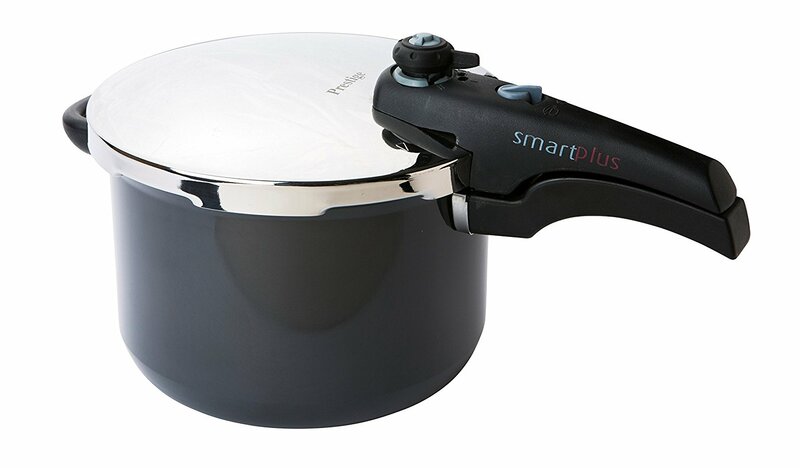 A cheaper alternative is the Tefal Clipso Plus Pressure Cooker, which is also made with stainless steel, or the Prestige Hard Anodized Non-Stick 6L Smartplus Pressure Cooker, which does have some defects, from time to time, but makes up for them with an extensive manufacturer’s warranty.